Stretching out across parts of both Sonoma County and Napa County, the Los Carneros American Viticultural Area is one of the United States' strongest wine producing regions. The soil and climate conditions of Carneros make the area well suited for sparkingling wines in particular, as well as Chardonnays and Pinot Noirs, but many other varietals are grown here including Cabernet Sauvignon, Grenache, Sauvignon Blanc, and Zinfandel. Together, many of the wineries and grape-growers throughout the Carneros area form the Carneros Wine Alliance, a non-profit association. Focused on producing some of the finest wines in America and providing both diversity and quality in its offerings, the Carneros Wine Alliance represents the heart and spirit of the Carneros winemakers. There are many different members of the Carneros Wine Alliance and lots of wineries operating in the region. Many of these wineries open their doors regularly to the public, inviting guests inside for tastings, purchases, tours, and more. Read on to learn all about some of the best Carneros wineries you might like to take an interest in. Bouchaine Vineyards aims to bring the passion and cultural heritage of France to the heart of California in the Napa Valley. Located in a lovely spot and surrounded by the gorgeous, inimitable Carneros countryside on every side, Bouchaine Vineyards is a wonderful place to stop off while exploring the region. 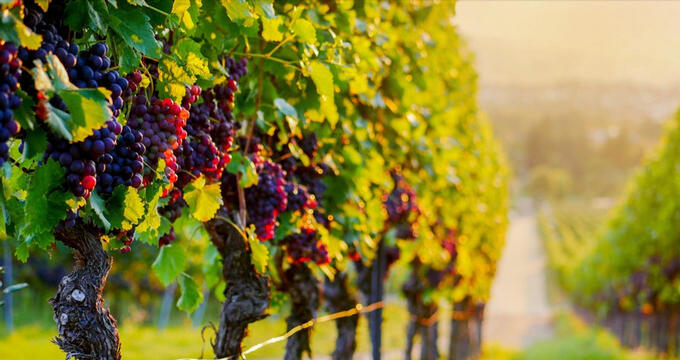 This winery specializes in Cabernet Sauvignon, Pinot Blanc, Pinot Noir, and Syrah, as well as offering some very nice Rosé wines and Pinot Gris. The tasting room at Bouchaine Vineyards is open every single day from 10.30am through to the late afternoon, and small group tours of the vineyards also run here on a regular basis by appointment, so if you'd like an even deeper Caneros winery experience, book a tour with Bouchaine Vineyards. A large, family-owned and operated vineyard that first got started in 1974, Truchard Vineyards is one of the finest names in the Carneros region. It all started when husband and wife duo Tony and Jo Ann Truchard bought themselves a little plot of land in the Napa Valley and decided to metamorphose their plot into a magnificent vineyard. Growing grapes and producing wine for more than three decades now, Truchard Vineyards has grown to cover more than 400 acres in total and now grows ten different varieties of grape. Some of the best wines you'll find here are Cabernet Sauvignon, Pinot Noir, Zinfandel, and Merlot. Tasting at Truchard Vineyards is by appointment only and every tasting reservation comes complete with a tour of this historic part of the Carneros region. For a friendly, warm welcome and authentic Carneros wine experience, Starmont Winery is a wonderful place to visit. This family-owned winery puts a lot of focus on the environment, using eco-friendly techniques and ideas to stay green while producing some of the best quality wines you could hope to find in the Napa Valley. This winery is located on the incredible Stanly Ranch Estate and produces some world class Pinot Noir and Chardonnay wines, as well as offering a range of other varietals like Merlot and Sauvignon Blanc. If you'd like to visit Starmont Winery for a tasting experience, you'll have to call up ahead of time and check for availability. The open air tasting room is very popular with wine-lovers in the Carneros region, but this Napa winery is open every day from 10am to 5pm, so you should be able to find a time slot to taste some of Starmont's best bottles. Named after the French word meaning 'Study', Etude is all about honing the craft of wine-making and never settling for second best. Established nearly thirty years ago in the Napa Valley, this Caneros winery has swiftly developed into a leading light for the region, taking an ancient art and bringing it into the modern day with elegance and aplomb to produce some truly exceptional Chardonnay, Cabernet Sauvignon and Pinot Noir wines, as well as some top quality Pinot Gris and Rosé bottles. Wine tastings are held at Etude on a daily basis, with the tasting room open from 10am to 4.30pm each day. Each tasting session includes some of Etude's best bottles like Pinot Noir and Cabernet Sauvignon. If you like what you taste, you can sign up for Wine Club membership and enjoy complimentary tastings in the future. For those who are interested in learning a little more, you can also sign up for 'The Study of Pinot Noir' tour that includes a full tasting of five different Pinot Noir wines and discussion about the history of this varietal. The Carneros region has become famous for its sparkling wines, and you can find some of the very best at Domaine Carneros. This Napa winery offers Chardonnay, Merlot, and Pinot Noir wines as well, but has a real focus on sparkling varieties. In short, if you’ve come to Carneros in search of sparkling wines, Domaine Carneros is a must-visit location. The winery was founded back in 1987 and is one of the best spots to visit in the Carneros region, offering daily tours for just $40 that take guests through the chateau over a 90-minute session, teaching them about the various parts of the winemaking process. Various sparkling and red wines will be tasted as the tour continues, making this a wonderful option for people who want a wine tasting session with a little extra sense of adventure added on.